Working at heights can be really dangerous, especially for the people who do it on a daily basis. There are different instruments that are used by workers who work at heights, such as ladders, ropes, and others. It needs to be ensured that the tools they are using are safe and do not possess a threat to the life of the workers. This is why height safety inspections are done to ensure that there is no fatality in the working scenario. The height safety inspections are done with a process of determining that the tools are safe to use and have not suffered any wear and tear. There are certain factors that need to be kept in the mind during health safety inspections. While working at heights, there are certain measures that need to be taken to ensure safety. Check the equipment properly for any tear before using, so that you can avoid any kind of fatality. The sturdiness of the equipment needs to be measured before using. Take proper precautions when you are working on any breakable surface. Take adequate protection from any free-falling object. Complete your work as much as possible from the ground. 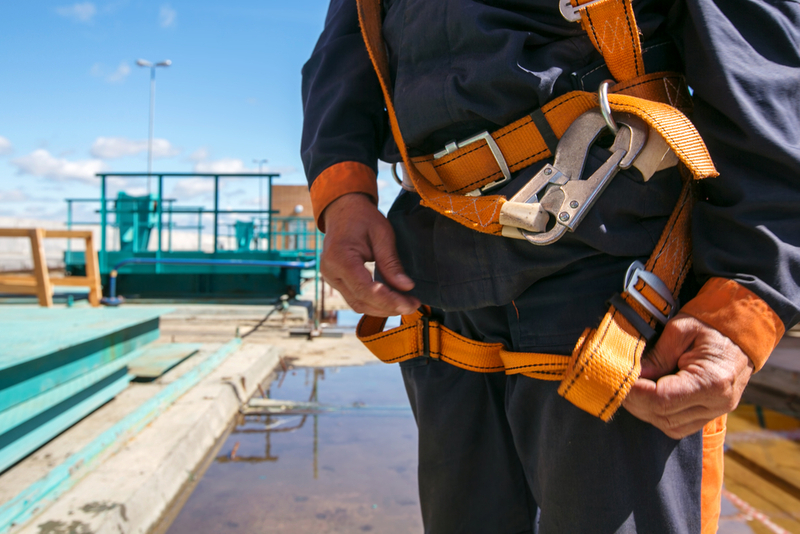 Follow the standard safety procedures for working at heights. Height safety inspections are necessary as they provide the safety for workers who work at heights. It is mandatory for every organization, since workers can lose their life and are endured through harsh weather conditions while working at heights. This is why every organization must have height safety inspections before starting any project or job which involves workers working at great heights. Check the ladders, railing, ropes, and harnesses which the workers will use during the climb for working. Check if the surface on which the workers will climb on is broken or damaged in any way. The building on which the workers will climb needs to be safe from any damage, or if it might fall. This is done by checking the building for any cracks or breaks. A proper safety procedure must be laid down for the workers, as it will help them to keep safe in any dire conditions. Any work must be avoided in harsh weather conditions as they can cause a fatality. Hence the safety inspectors should instruct the workers and the organization to avoid keeping any work at heights during such cases. It is quite a dangerous job to work at heights and hence height safety inspection is very important. There are many benefits to height safety inspections. It provides safety for workers who are working on a daily basis. The equipment which is used will be inspected and therefore, can be changed or repaired if there is any fault seen in them. The workers will have a set procedure which they can follow while working based on the list that the inspector will give. Fatality and injuries will be decreased, as the inspection will bring forward any problems that might be present. The inspector will also be able to understand the safety of the place where the workers are working, and the safety standards that the organization is following, and recommend any changes that might be needed accordingly. Height safety inspections are necessary parts of any organization. They help to save the workers of the organization from any severe incident and also to protect any losses that might be caused due to the accident. It is the responsibility of every organization to conduct the inspection at regular intervals for long-term safety of their workers. Previous Previous post: Social Media And The Modern Day Education: What Are The Results?